"Get in the car!" I cried in despair. M & K were reluctant but we persisted with our mild threat. "You may have been there before, but I can't remember if I have or not. So hush, we're going." When you've got a free day and the kids are on holiday, choosing a place to visit which will tick the following list is never easy. On this occasion, we managed it. Just! Living in the Chilterns we are very fortunate to be able to pick from a vast number of significant attractions and destinations that are on our doorstep. London is a tube ride away, we have beautiful countryside on our doorstep; Ashridge, Dunstable Downs, and there are a plethora of National Trust attractions within reasonable driving distance. 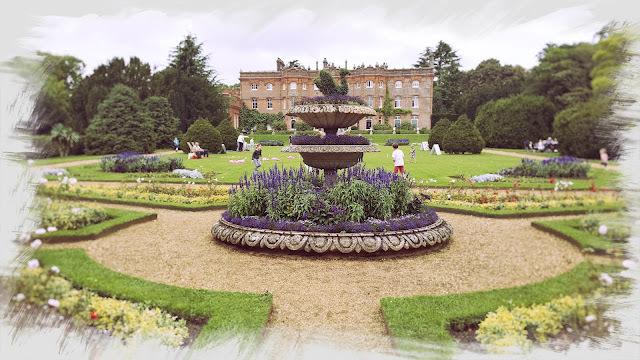 Hughenden Manor is one such place, being only 30 minutes drive away from our house. All bases ticked then! Set on top of the Hughenden Valley near the Buckinghamshire town of High Wycombe, the manor house was once the home of former Victorian Prime Minister and author Benjamin Disraeli, (who lived there from 1848 to 1881). A place also visited by royalty, Queen Victoria no less. Now owned by the National Trust, it is a wonderful attraction, full of grandeur, piled high with history, plenty of activities and a rather nice walled garden. It was time to explore. Ok, so technically this is impossible. 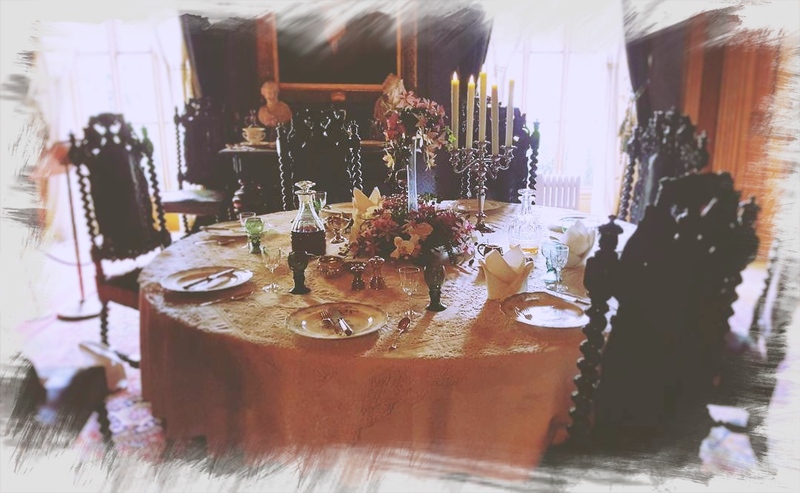 He's been dead since 1881, but when you walk into the house, one of the first rooms you visit would be the splendid dining room (see above). A place where Disraeli wined and dined Queen Victoria. Splendid it is too. Apparently, he was her favourite Prime Minister. I wonder who Queen Elizabeth II prefers? Thatcher? Blair? May!? You can roam from room to room, discovering snippets of houses and Disraeli's history as you go. All very well organized, all nicely displayed. M & K enjoyed it for a short time, but only for a short time! Hopefully, you'll be able to spend longer wandering through the rooms and looking at the displays? The manor offers other delights. Secret rooms used in World War 2, I-spy activities around the manor, trails for the kids to explore the surrounding woods, a cafe and second-hand book shop, hopefully, you get the picture? There are plenty of volunteers on hand to assist and many special events are organised, well worth checking out their website https://www.nationaltrust.org.uk/hughenden for further details. My favourite part, other than the house was the walled garden. Here's a question for you. Doesn't a wall just add to a garden? Better than a wooden fence that's for sure. A wall gives a garden character, an aesthetic quality. Are you with me on this? The walled garden at Hughenden is delightful. At this time of year, you have fully laden apple trees ready to be picked, herbs and vegetables mingle with flowers in their wooden borders. Walk along the path and you'll find little displays, a scarecrow and flower pot figures, a kids insect hunt and the smell of late summer! 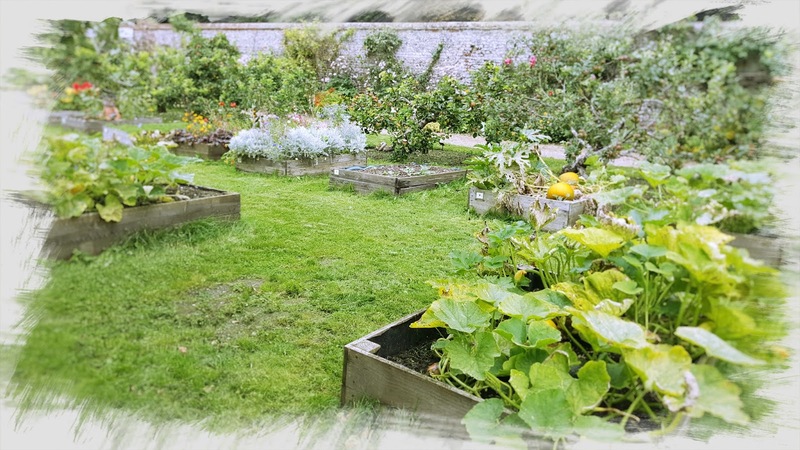 It all adds up to a wonderful experience and a large dose of garden envy! If you happen to have a few hours spare, say two or three! Are passing (junction 4 of the M40), or live reasonably close to High Wycombe, or looking for something different to do outside of London, (Chiltern Line trains run from Marylebone to High Wycombe, then take the 300 bus, and a walk up the steep hill!). 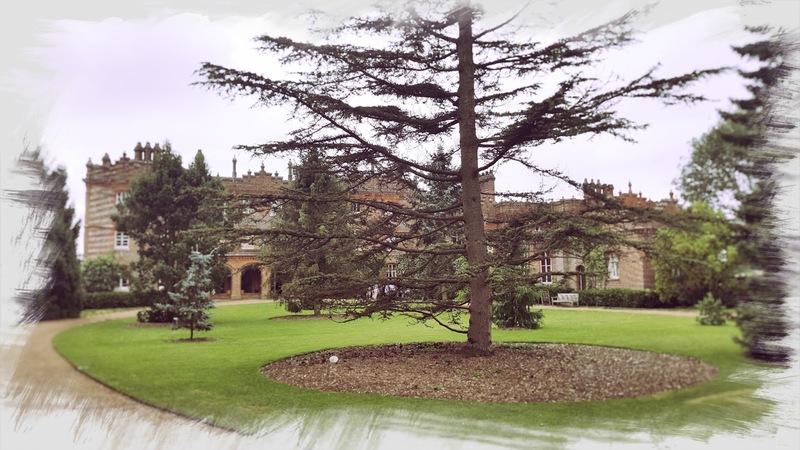 Hughenden Manor could be the perfect place. It will satisfy young and old, give you a decent slice of British history, take you into the Chiltern countryside and provide you with a rather good piece courgette cake! Now that is worth investigating, isn't it? Footnote: The kids didn't complain either!